NATO Secretary General Jens Stoltenberg has held a meeting with UK Foreign Secretary Boris Johnson in Brussels to discuss the situation around poisoning of former Russian intelligence officer Sergei Skripal. 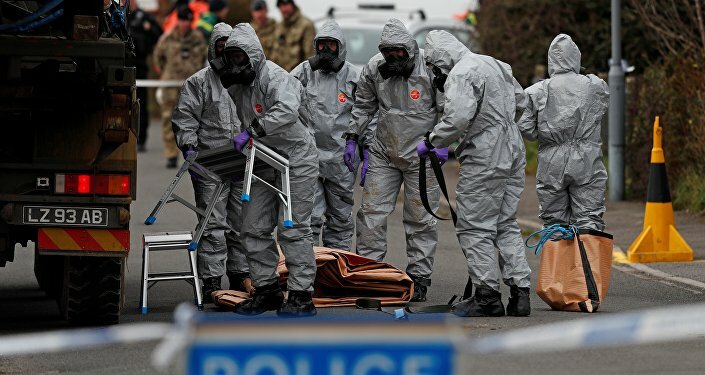 Stoltenberg said that the alliance "stood ready to help UK in investigating Skripal's case" and urged Russia to answer questions on the case as well as provide all information concerning the A-234 chemical substance. READ MORE: NATO Chief Accuses Russia of Aggression: What Did He Miss? The UK foreign minister, in turn, stated that Britain was working with NATO and the EU on possible measures against Russia following Skripal poisoning. "We discussed that in the European Union, working to tackle disinformation that comes from Russia along with the fake news… tackling hybrid warfare, as Jens [Stoltenberg] just said [is] one of the key things that NATO has to consider." Stoltenberg echoed Johnson's statement by saying NATO is collaborating with the European Union on issues relevant to responding to Russia. On Friday, while announcing the meeting, Stoltenberg said that the alliance had already expressed solidarity with the UK partners and offered support to the investigation into the Salisbury incident. The former Russian officer and his daughter were found unconscious in a shopping center in Salisbury on March 4. The two are being treated for exposure to a chemical substance and remain in critical condition. London accuses Moscow of being involved in the incident, with Russia denying all accusations and expressing readiness to collaborate on the investigation. The two countries have already imposed restrictive measures on each other.